Two Zea mays cupules and one glume were recovered in the flotation sample from Square 73, level 1. Other artifacts such as sherds from 76 Middle Woodland vessels were recovered from this deposit (Conard et al. 1984). 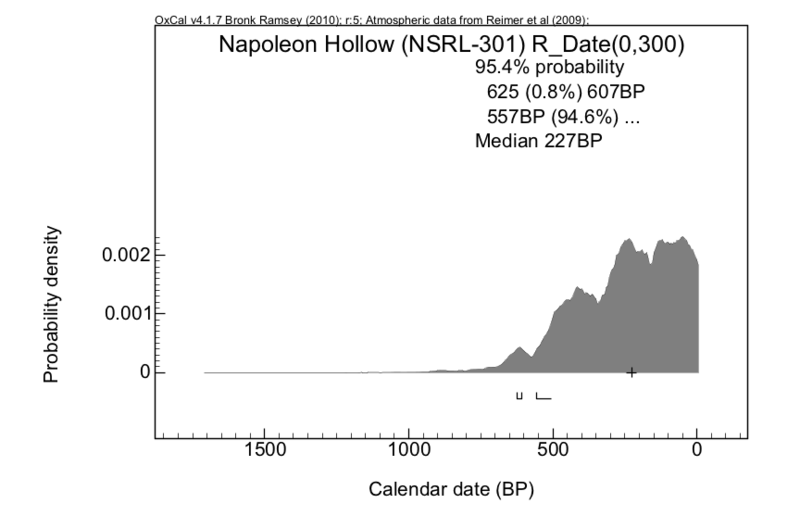 This radiocarbon date indicates some recent contamination of the Middle Woodland midden.